If you're reading this from anywhere other than Australia you're probably wondering what on earth AFL is! Well, let's be honest Aussies, if you're not from one of the Southern states you're also unlikely to really understand the game. AFL stands for Australian Rules Football which features teams from all over the country. I won't try and explain it to you as I know I'll do an awful job (just Google it!) but I will say you should definitely try to get to a match if you are down in Melbourne! 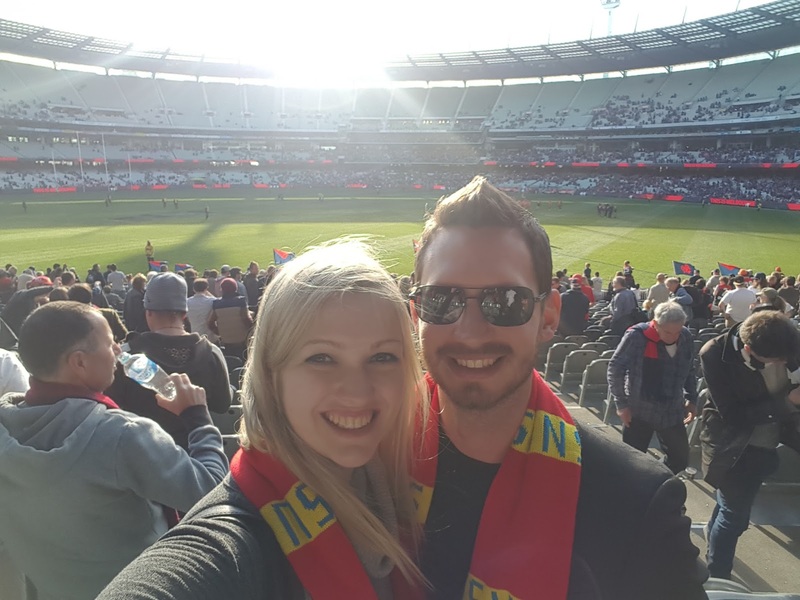 The MCG (Melbourne Cricket Ground) is the main stadium in the country for AFL matches, and is the one I'd recommend heading to if you get the chance. There is another stadium in Melbourne (Ethiad) however the MCG has a better atmosphere in my opinion. Depending on which teams are playing and where in the ground you want to sit, tickets can be as cheap as $15! Alcohol is allowed in most areas of the stadium as well and the MCG always has a great social aspect regardless of the team you decide to follow. You're not a true Melbournite until you've had Italian on Lygon and a coffee on Degraves! Lygon Street is located north of the CBD and is filled with Italian cafes and restaurants. I thoroughly recommend taking a good long walk up and down both sides of the street before settling on a place to dine as there are just so many to choose from, all with slight tweaks on traditional Italian cuisine. Personally my favourite cafe on Lygon Street was Stuzzichino, which has breakfast til 3pm and an array of tantalising meals and beverages. You must try a Nutella Caldo if you do dine here - essentially a Nutella hot chocolate but oh so much better! The menu is huge and you'll spend forever trying to pick the best. There's also Nutella pizza... (clearly I love Nutella lol). Degraves Street is one of the famous alleys filled with cafes and cake stores! Tables line the centre of the street for a cosy and social dining experience. Coffee down Degraves is renowned for being some of the best, but I think the atmosphere is really what makes this place special. We accidentally stumbled across the soft opening for ArtVo and my gosh am I glad we did! ArtVo is Australia's first interactive art gallery meaning you don't just look at the art, you become a part of it! By standing in designated areas, your friends can capture incredible 3D images on your smartphone or camera with you as the centrepiece. 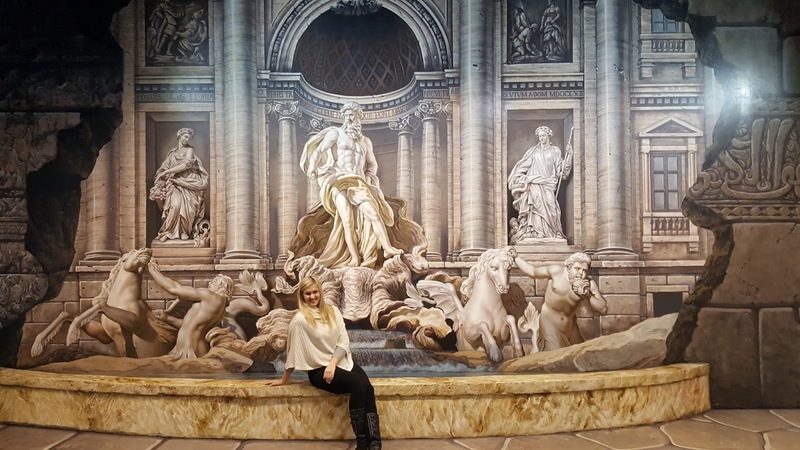 The gallery uses optical illusions to give the sensation of the images coming to life around you (even though you feel like a fool whilst posing for them!). Broughton and I took hundreds of photos and spent a good few hours exploring the many different gallery zones, laughing at ourselves and each other. Tickets cost between $15 and $25 (age and concession dependant) and the gallery is open from 10am to 6pm Thursday to Sunday. This gallery is like nothing I've every experienced before and I will definitely be visiting again! There's something for everyone at the markets, whether you're after football memorabilia, novelty toys for the kids, new clothes and fashion accessories or even fresh fruit and vege! The markets are a great place to pick up little nick nacks if you're on holiday, especially souvenirs and goodies for friends and family back home. I picked up some fluffy pink fingerless gloves (so I can be warm and text! - winning). With all that shopping you're bound to work up an appetite, and the markets don't let you down here either! There's a designated food hall just outside the market area, or you could stop in one of the refurbished sheds for a delicious coffee and speciality snacks. A great place to unwind and chill out for half a day and to socialise with the locals. A lot of the restaurants are also situated on the waterfront with stunning views of the harbour and the city itself. We chose to have lunch and ciders at Cargo which is positioned right on the waters edge with amazing views. The menu had everything you could imagine and more, all at very reasonable prices. Pretty good view wouldn't you say? I'm not much of a gambler because I don't like having the odds against me, but the Crown Casino is one place I simply can't walk away from! Whether you enjoy a game of blackjack, want a spin at roulette or simply enjoy games of random chance, the casino has something for everyone. My boyfriend and I went in with $50 and came away after 2 hours up by $10! Admittedly not a big win, but great for 2 hours of entertainment and plenty of laughs along the way. Inside the Casino (but not past security) is a family friendly eating area featuring all kinds of cuisine and the most delicious gourmet ice cream around! It's lovely to see families coming here to eat, when casino's are often avoided, giving the whole place a relaxed vibe. Have fun and be smart, so don't gamble your holiday savings away! The Melbourne Star Observation Wheel is the only giant observation wheel in the Southern Hemisphere and is one of only four in the entire world! The Wheel gives you a 360 degree view of Melbourne and the surrounding suburbs with floor to ceiling glass windows. 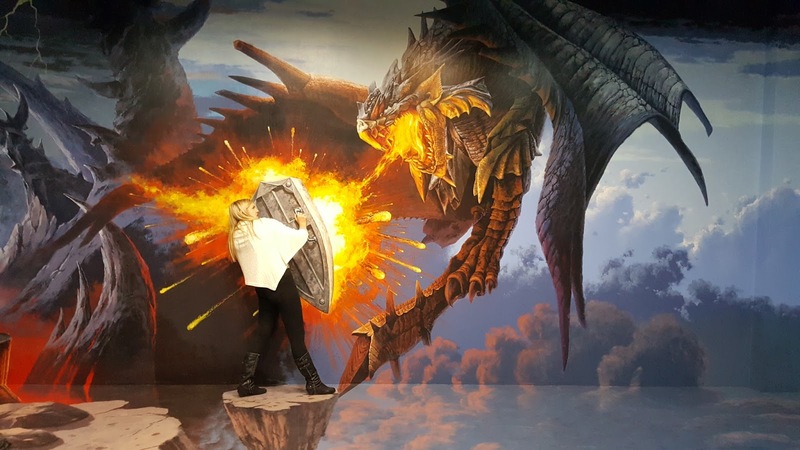 Each rotation lasts about half an hour, allowing you plenty of time to soak up the sights and snap some awesome selfies (or you can just purchase the cheesy green screen pics!). I highly recommend visiting the Wheel in the evening as the lights of the city of stunning at night and the queues are generally that bit shorter. Don't forget to check online to see if they are running any discounted ticket promotions and take a look at some of my other discounted travelling tips! Along side the river are hundreds of bars and restaurants featuring stunning views of the water and the surrounding city. If you're up for a night out, talk a walk past these bars during the day time to figure out their happy hours as I guarantee you drinks are not cheap! When looking for a place to set up shop for the evening I like to find somewhere that's a bit out of the ordinary; a place that I won't necessarily find back home. In Melbourne, 2 of my favourite bars would have to be Arbory and Ponyfish Island. Arbory stretches along the Yarra River for over 100 metres, offering expansive views of the water in the comfort of it's cosy undercover deck. The wine and cocktail list is pretty amazing, but what I loved was the espresso martini's on tap! They also have a great selection of bar food and meals to accompany your drinks making it a perfect place to stop and stay for the evening. 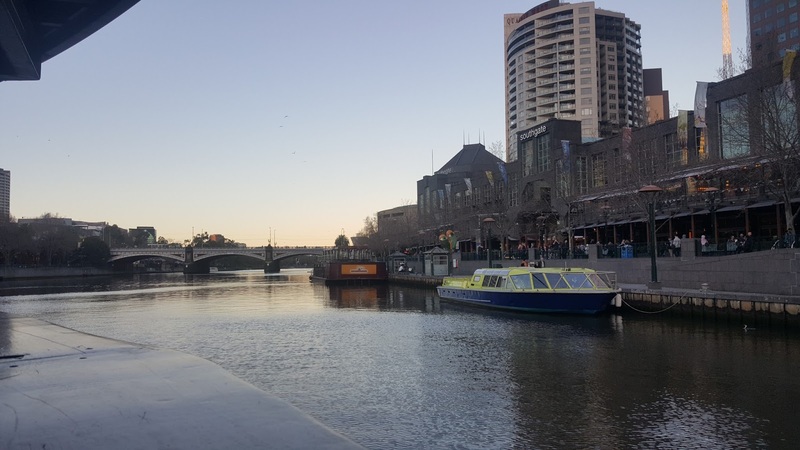 Ponyfish is my absolute favourite, located in the middle of the Yarra River! The bar is only accessible by descending the stairs located in the middle of the Pedestrian Bridge. Keep a look out for this bar, as you probably won't notice it unless you accidentally come across it. 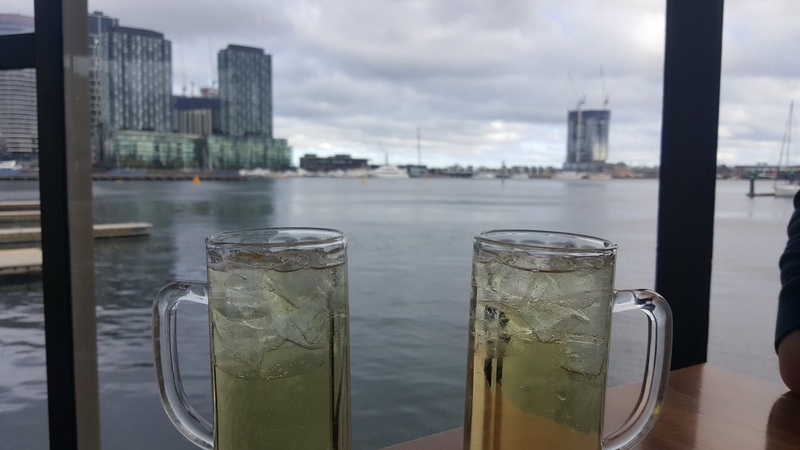 Offering all the usual's, reasonably priced cocktail jugs and deliciously warm mulled wine, Ponyfish has what I would consider the best views and the best vibe in Melbourne! It's not every day you get to sit at a floating bar in the middle of the river to enjoy a glass of wine. 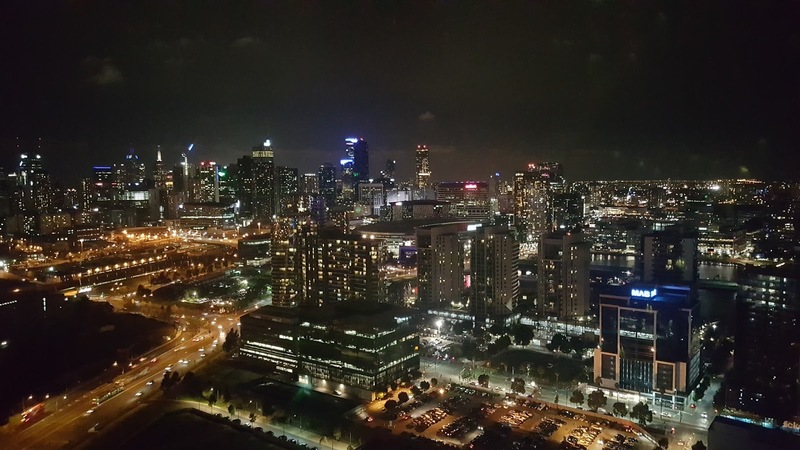 There are always events and exhibitions on at the Melbourne Convention and Exhibition Centre so why not try to see a show while you are staying in the artsy city of Australia? On my recent visit I went to see my favourite pianist Yiruma play live for the first time in Australia! He was absolutely amazing, lulling me and evoking emotion with every note and chord. Definitely the best way to spend a cold night snuggled up in the theatre and a wonderful experience for a weekend away. At night the boardwalk alongside the Yarra River comes alive and is a hive of activity. Fine dining restaurants alongside the river offer luxury food with an incredible view but prepare to spend big to get a table here. 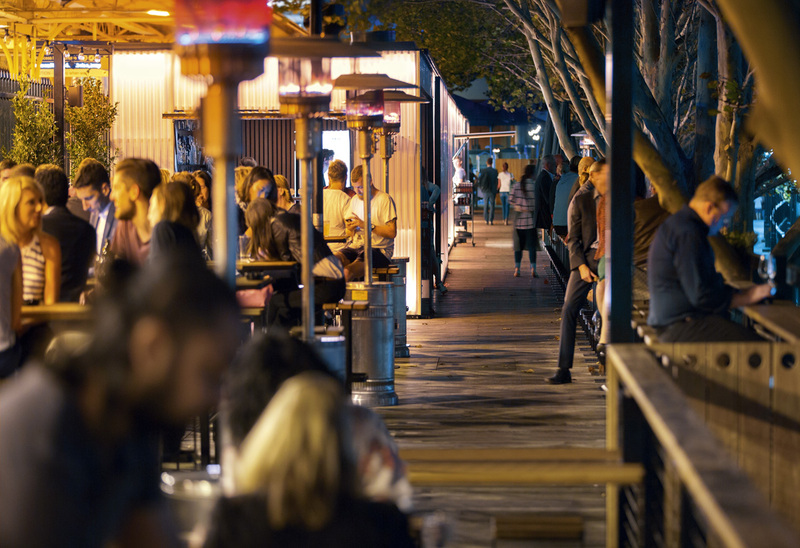 Stroll along the boardwalk and check out the many menus to see if something takes your fancy, or take my recommendation and grab a burger at The Merrywell (arguably Melbourne's best burger bar)! Out front of the casino in an evening, huge towers shoot fireballs into the sky known as the "Gas Brigade". This is a pretty spectacular thing to see and feel with the heat blasting your face if you stand a little too close. The shows happen every hour on the hour from around 6pm-8pm (season dependant) and finishing at either midnight or 1am. Just another little something to add to the spectacle that is Melbourne! 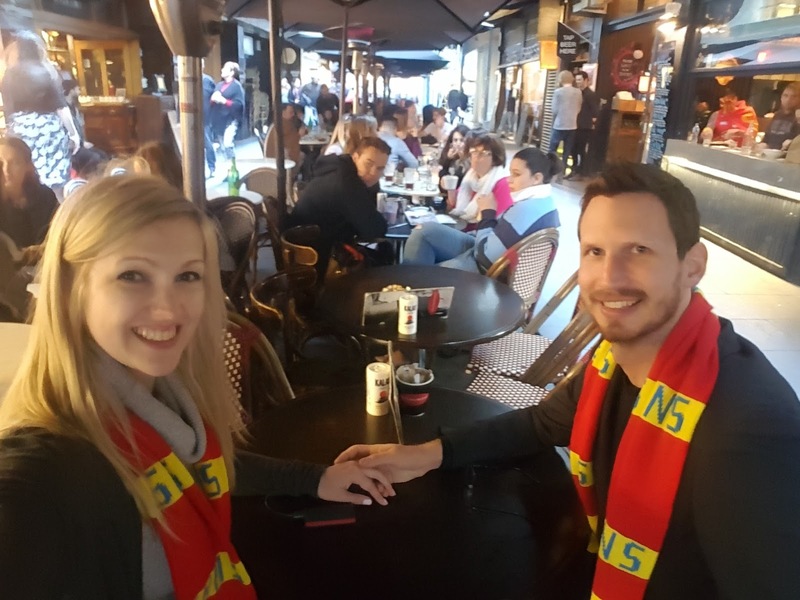 In addition to my top 10 to-dos, there are a few other tricks that I learnt whilst staying in the CBD that will help any traveller out when it comes to getting around. First up, when you arrive at Melbourne Airport, getting to your accommodation is going to be expensive if you take a taxi or an Uber unless you're in a big group. My advice? Take the Sky Bus! The Sky Bus leaves every 15 minutes so you're unlikely to wait long. It's comfortable and clean and gives you a great view on your way into the city. The Sky Bus stops at Southern Cross Station and offers free transfers to and from your CBD accommodation. Next, getting around the city is super easy on foot as the CBD is set out in a grid format. However, if you fancy grabbing a lift, the inner city tram zone is free! Catching tram 35 is free for the whole route as this tram loops the city. It runs from just after 9am until approx. 6pm, or 9pm from Thursday through to Saturday, and is due to arrive every 12 minutes. You can also catch any other tram as long as you stay within the free tram zone (identified by green signage at the tram platform).